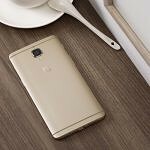 OxygenOS Open Beta 39 for the OnePlus 3 and OxygenOS Open Beta 30 for the OnePlus 3T have been announced, and bring a number of small new features and improvements. The OnePlus Launcher has gotten some improvements in particular, with a “New installs” category being added to the app drawer as well. You can check out the full changelog below. First things first, the OnePlus Launcher has had some small quality of life improvements. While we already mentioned the new installs category being added, there are also better search tags and a slightly improved app list. The camera has also been improved so that switching between the front and rear camera is slightly faster. Finally, they’ve added the ability to seek through AAC audio file timelines. AAC was designed as the successor to the MP3 file format, and a number of other, non-Android devices use it by default. Android supports it natively as well. Users may be sad to learn that this would appear to be the last Open Beta for the OnePlus 3 and the OnePlus 3T. Last month, OnePlus said that a stable release would be released soon after this open beta to migrate users back to the stable builds of OxygenOS. OnePlus did also mention to stay tuned for Android version updates in the future, so it doesn’t entirely rule out the possibility of an update to Android 8.1. If you’re interested, you can download it below from the OnePlus forum thread for the OnePlus 3 and the OnePlus 3T. Those on the beta will receive an OTA soon.